I ran across this recipe on the Campbell's website. I was super intrigued with the recipe because it used a can of Cream of Chicken soup for the marinade and dressing. I just had to test it out. I know what you are thinking. 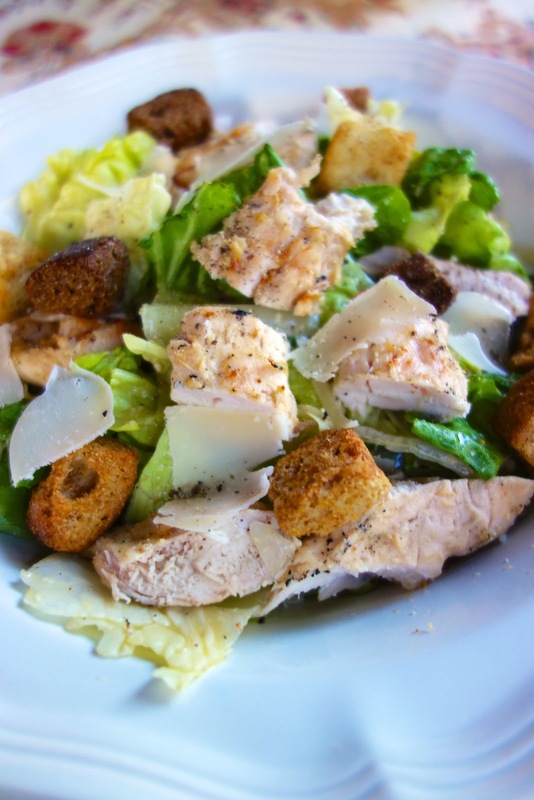 "Chicken Caesar Salad with a can of Cream of Chicken soup? YUCK" It was skeptical too, but it was surprisingly good! I marinated the chicken for a few hours and then grilled it outside. You can also cook it in the skillet or the oven. The chicken had a nice touch of lemon and it paired perfectly with the salad and dressing. Now, the dressing was more Italian than true Caesar (no anchovies). Either way, it was really good and I would definitely make this again. Whisk together soup, water, vinegar, lemon juice, Worcestershire, garlic, black pepper and 3 tablespoons cheese. Reserve 1 1/4 cups for dressing. Add the chicken to the remaining soup mixture and turn to coat. Refrigerate for at least 15 minutes. Remove chicken from marinade. Grill for approximately 15 minutes or until done. Thinly slice the chicken. 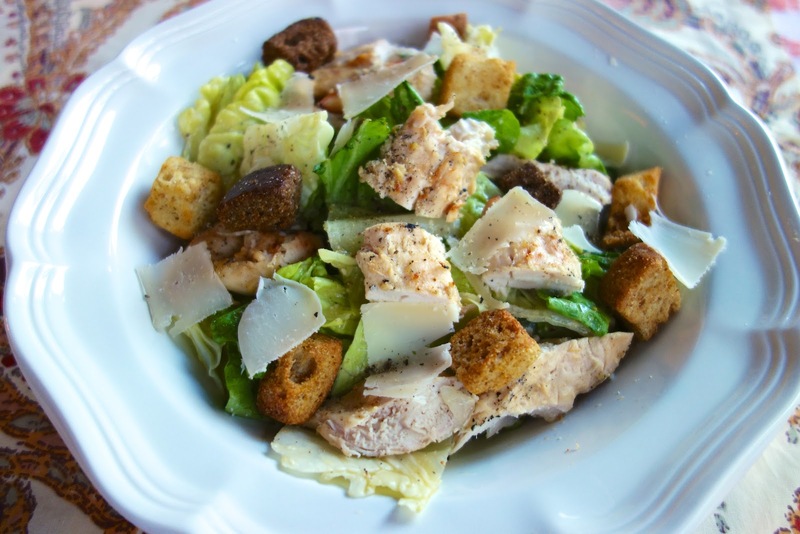 Place the lettuce and chicken into a large bowl. Add the reserved dressing and toss to coat. Sprinkle with the croutons and remaining tablespoon of cheese.